the husband and i headed down to the bay-side suburb of brighton this morning to catch-up with some great friends for brunch. 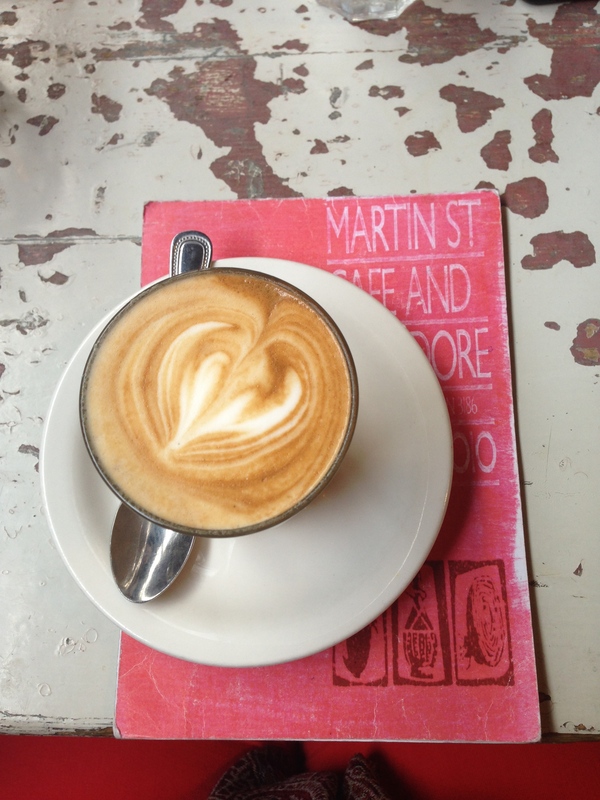 our friends recommended we try their “local” .. the martin st cafe + providore. i am a city-living-convert since moving to melbourne, but i also love visiting its suburbs – it’s amazing how self-contained and how much culture can be packed into a single ‘main’ street… seriously, you could almost never leave your suburb and not be left wanting! 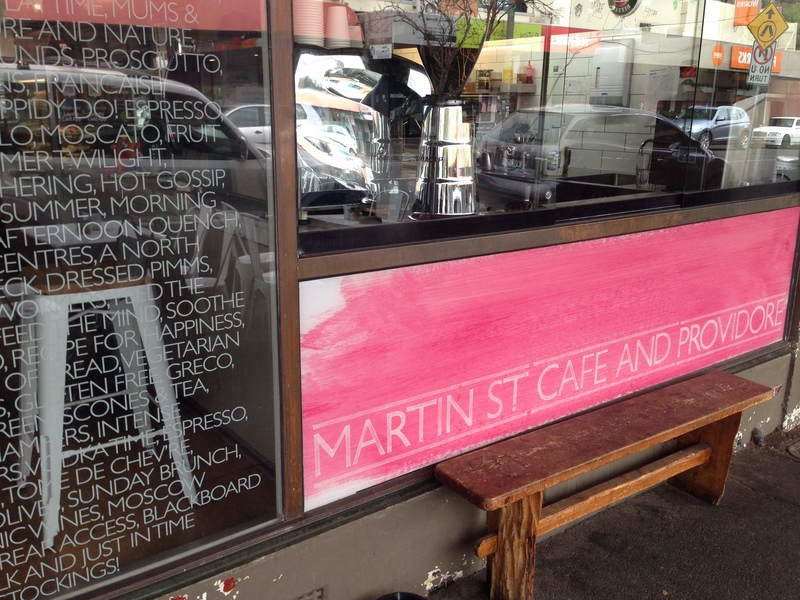 martin st brighton is no exception – hairdressers, boutiques, beauty salons, restaurants, gym and great cafes. the providore is quite unassuming at street level, but as you step through the long-narrow cafe there is a great covered + heated area and further outdoor space in a gorgeous courtyard in the back complete with umbrellas. 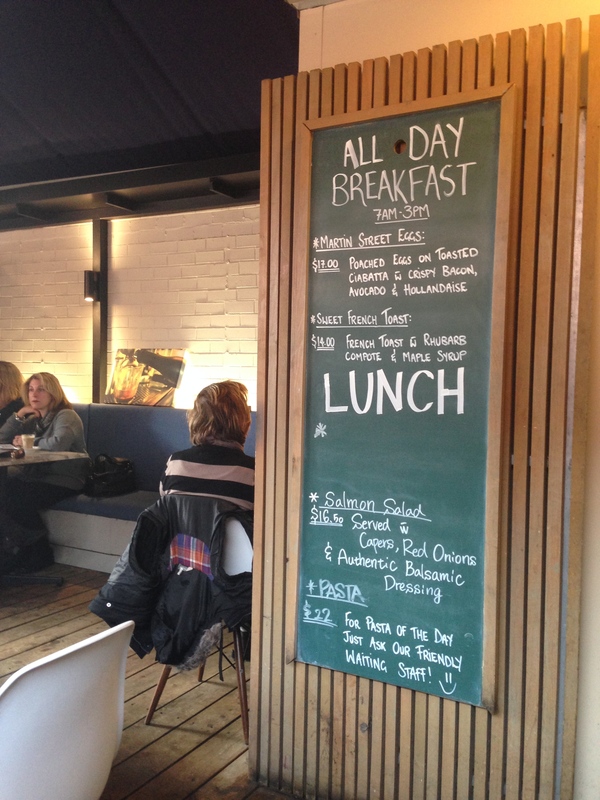 the cafe was brimming with cycle-clubs and mum’s groups this morning, only adding to the “local” feel. 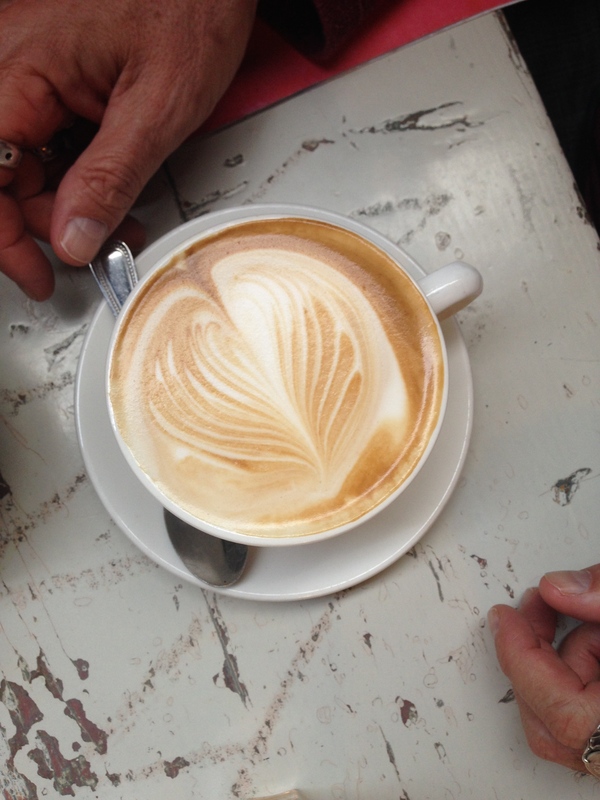 coffee was strong and consistent and mine came with soy milk served just right. english breakfast tea served with tea leaves (not the bagged variety) + the husband was pleased that there were juice, smoothie and milkshake options available. 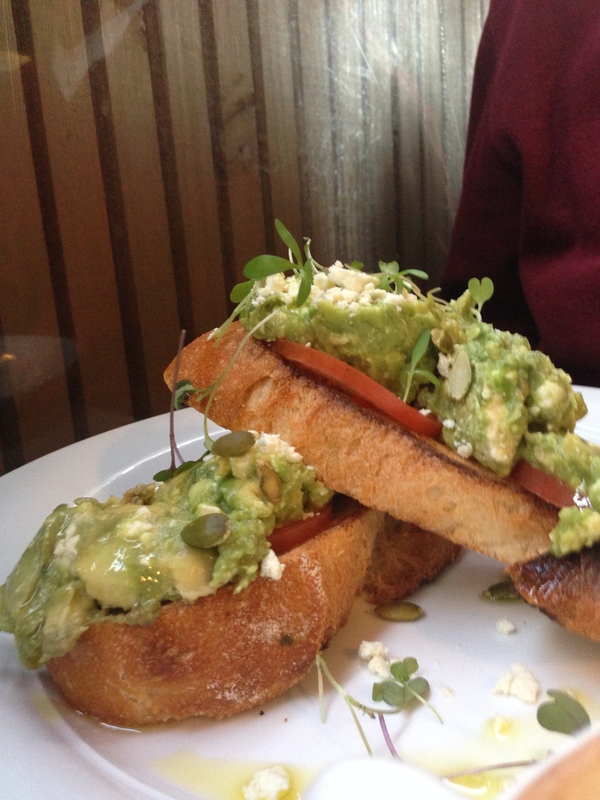 smashed avocado on ciabatta with pepita seeds, fetta + tomato. breakfast of choice for my friend and from the familiarity of his order to the waiter, i have a feeling he orders this regularly! avocado looked perfectly ripe + this dish oozed freshness. topped with some micro-hebs + olive oil, it was safe to say there wasn’t a crumb left at the end! 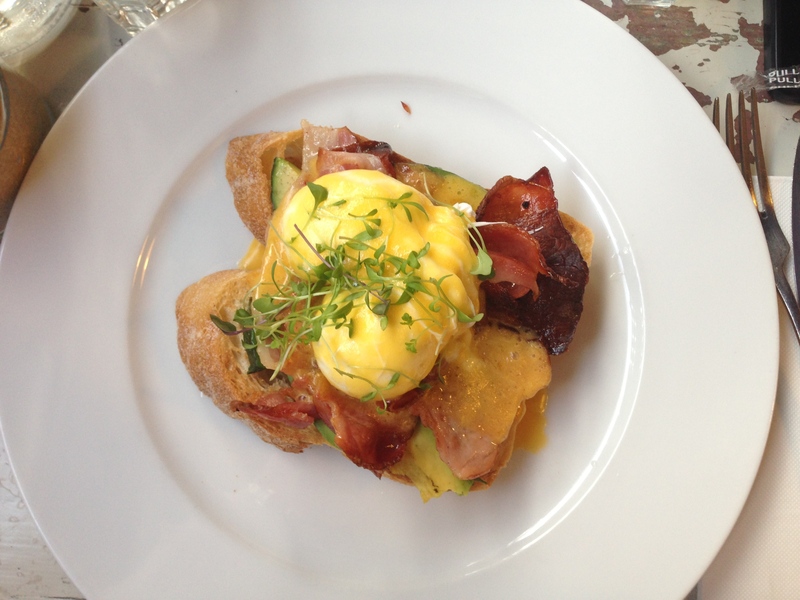 martin st eggs: poached eggs on toasted ciabatta with crispy bacon, avocado + hollandaise. this came recommended by both friends and waiter, so i thought i’d better take their word for it and gave it a try! the hollandaise was light and not overpowering of the freshness of the avocado. poached eggs were perfectly cooked. the serving sizes of all our dishes were extremely generous, and i definitely struggled to finish it all. the only downside for me – the ciabatta was quite difficult to eat with a very crunchy crust which took effort to cut through – i probably would’ve preferred a grain toast or sourdough. 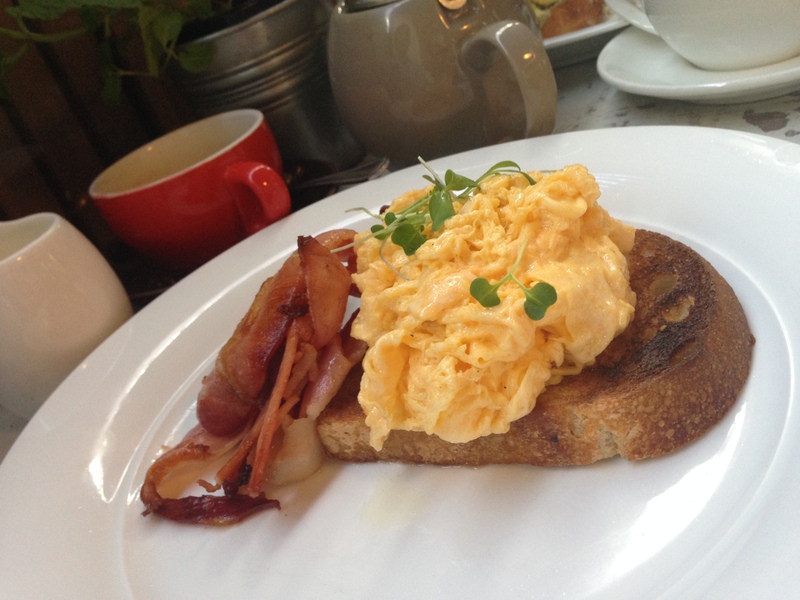 generous serving of creamy, fluffy, soft eggs. and this was the half-serve! 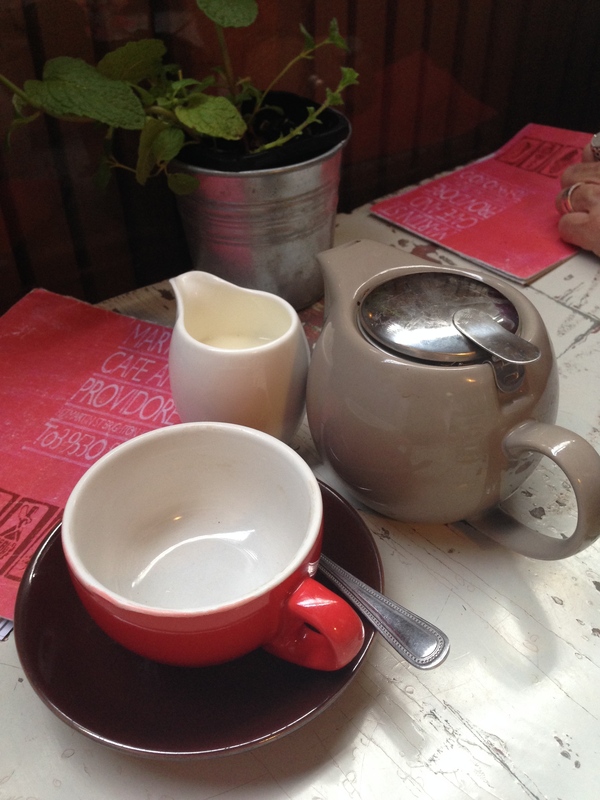 overall, the providore is laid-back and friendly. staff were attentive + appeared to know many of the customers by name. whilst the food wasn’t what you’d call “trendy” and is unlikely to make urbanspoon’s ‘top 10’ list – this is yet another fantastic example of the wholesome, honest food synonymous with melbourne’s many suburbs.